traffic prioritization; VPN for remote connectivity and Software Defined Networking for more dynamic next generation network deployments. ​​In today’s interconnected world, everyone requires optimal Internet access and Paradox will help you find the right connection at the right price to run your business. is well suited to assist with this transformation. 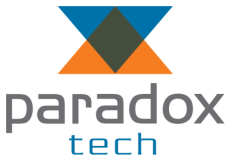 With a background in TDM based solutions, Paradox has expertise to provide traditional voice services while helping navigate the path to the next stages of VOIP and SIP based technology. ​By analyzing a variety of your business’ IT needs such as hardware, bandwidth, network connections and the physical location of server, Paradox can best design a hosting service solution with our carriers that is also cost effective. ​Paradox works with best of class providers to offer superior conferencing and UC solutions to suit your business. ​Paradox can assist with wireless account management to better control costs and ensure proper plans and discounts are in place. Keeping track of runaway telecom expenses and making sure agreements are current can be challenging for today’s IT staff. Paradox works with its clients to understand what services are in place and will ensure they are provided at competitive pricing. We specialize in helping companies get a handle on their telecom invoices and services so you can focus on your business.